All the stats and records that Shannon Gabriel created with his stunning effort with the ball against Sri Lanka. Sri Lanka found themselves in a safe position in the controversy-marred St Lucia Test but Shannon Gabriel kept the hosts alive in the game with his efforts. The pacer took 5/59 in his first innings and a record tumbling 8/62 in the 2nd innings. The 30-year-old had to fight against his weakness of bowling no-balls as he took two wickets in the 2nd innings on no-balls. He claimed the last wicket of Akila Dananjaya twice in an over as the first time he dismissed happen to be a no-ball called by the on-field umpire. 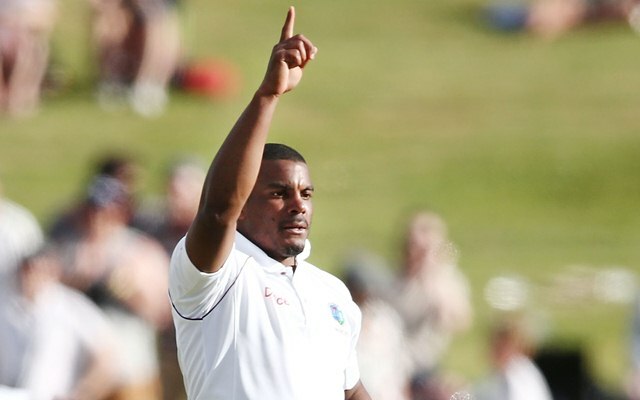 1 – Shannon Gabriel’s match figures of 13/121 are the best for any bowler in a Test match in West Indies. The previous best figures for any player in a Test in West Indies was 13/132 by Makhaya Ntini for South Africa in the 2005 Port of Spain Test. 2 – Gabriel is only the 2nd bowler to take 12 and more wickets in a Test match against Sri Lanka. Imran Khan took 14/116 for Pakistan in the 1982 Lahore Test against the Lankans. His 2nd innings figures of 8/62 are also the 2nd 8-wicket haul by any player against Sri Lanka in Test cricket after Imran’s 8/58 in that Lahore Test. 3 – His 13/121 in this Test are the 3rd best bowling figures in a Test by any bowler for Windies. Michael Holding took 14/149 against England in 1976 The Oval Test while Courtney Walsh took 13 wickets for just 55 runs in the 1995 Wellington Test against England. 8/62 – His bowling figures of 8/62 in Sri Lanka’s 2nd innings are the best 2nd innings figures for a pacer since Glenn McGrath’s 8/24 in the 2004 Perth Test against Pakistan. 8/62 – Gabriel is the first pacer and the 2nd bowler for Windies in the last 27 years to take an 8-wicket haul in Test cricket. Leg-spinner Devendra Bishoo took 8/49 against Pakistan in the D/N Test in 2016. 13/121 – Gabriel’s 13/121 are the best match figures for a pacer in Test cricket since 2002. Ntini (13/132 in 2005) and Kagiso Rabada (13/144) in the 2016 Centurion Test against England are the other pacers to take 13 wickets in a Test since 2002. 100 – Shannon Gabriel became the 22nd player to complete 100 wickets in Test cricket for Windies. He needed 34 Tests for the milestone at a bowling average of 30.67.